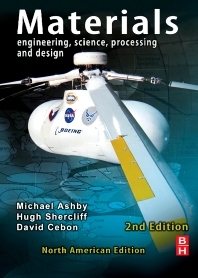 Materials: Engineering, Science, Processing and Design, Second Edition, was developed to guide material selection and understanding for a wide spectrum of engineering courses. The approach is systematic, leading from design requirements to a prescription for optimized material choice. This book presents the properties of materials, their origins, and the way they enter engineering design. The book begins by introducing some of the design-limiting properties: physical properties, mechanical properties, and functional properties. It then turns to the materials themselves, covering the families, the classes, and the members. It identifies six broad families of materials for design: metals, ceramics, glasses, polymers, elastomers, and hybrids that combine the properties of two or more of the others. The book presents a design-led strategy for selecting materials and processes. It explains material properties such as yield and plasticity, and presents elastic solutions for common modes of loading. The remaining chapters cover topics such as the causes and prevention of material failure; cyclic loading; fail-safe design; and the processing of materials. 4.4 The science: what determines density and stiffness? 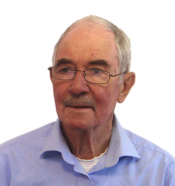 Professor Mike Ashby is well known for producing readily understandable materials education texts, and for the innovative use of graphical representation for material properties. This book, now in its second edition, is no exception and explains materials engineering from a design-led approach, as opposed to the more traditional science-led approach. Useful for reinforcing student learning is the inclusion of over 50 new worked examples, distributed throughout the book. Completely new are the self-contained Guided Learning Units or sections at the end of the book on crystallography, and phase diagrams and phase transformations, including exercises (and unlike the rest of the book with answers). There are also useful links to interactive ‘online’ tutorials and assessment, reinforcing the strong selfteaching aspects of the book. [T]he book is aimed primarily at students and teachers of materials science and engineering, although engineering practitioners involved with materials and their selection will also find the extensive use of applications both useful and relevant.